At the heart of such perspective is the enactment of the perceived emotion in the observer. 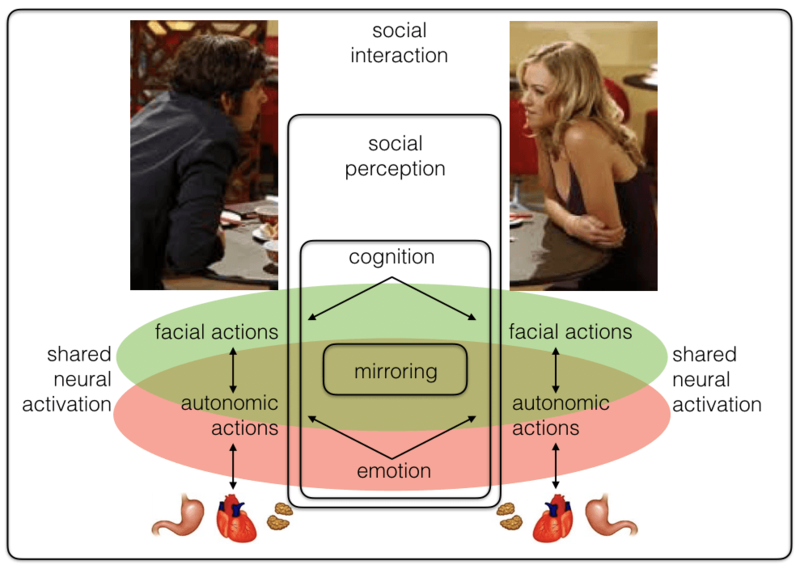 Further, in more complex situations, affect understanding is likely to rely on a comprehensive representation grounding the reconstruction of the state of the body associated with the displayed emotion. 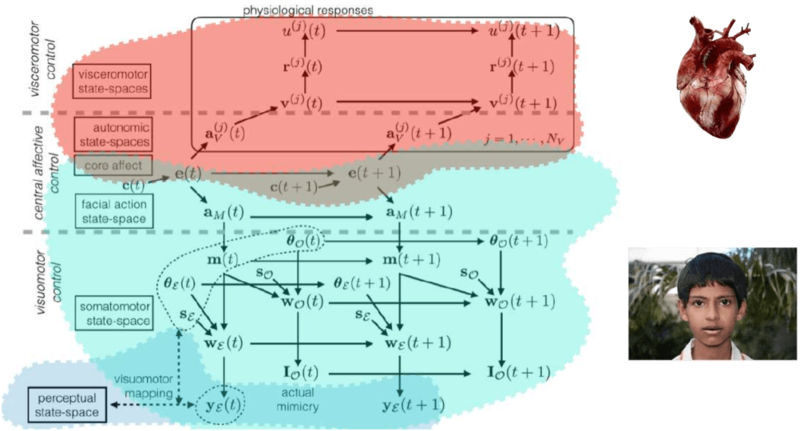 We proposed a novel probabilistic framework based on a deep latent representation of a continuous affect space , which can be exploited for both the estimation and the enactment of affective states in a multimodal space (visible facial expressions and physiological signals). We have shown that our approach can address such problems in a unified and principled perspective, thus avoiding ad hoc heuristics while minimising learning efforts. Giuseppe Boccignone, Donatello Conte, Vittorio Cuculo, Alessandro D'Amelio, Giuliano Grossi, and Raffaella Lanzarotti. Deep construction of an affective latent space via multimodal enactment. IEEE Transactions on Cognitive and Developmental Systems, 2018.